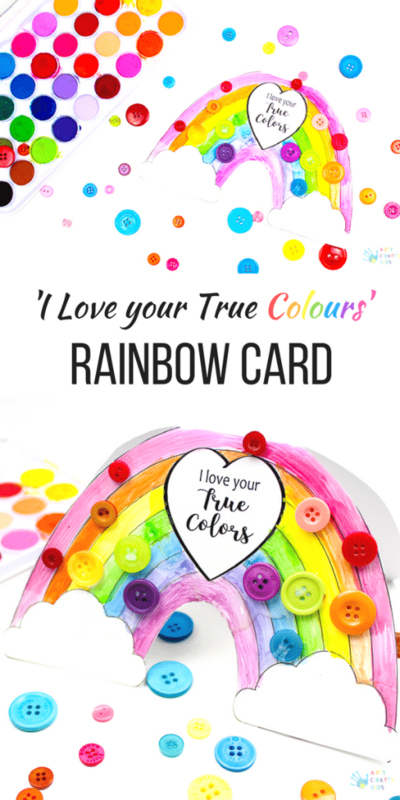 Designed and created by my eldest, this charming Printable Rainbow ‘I Love your True Colours’ Card is perfect for any special occasion – Valentine’s Day, Mother’s Day, Birthday’s and everything in between. 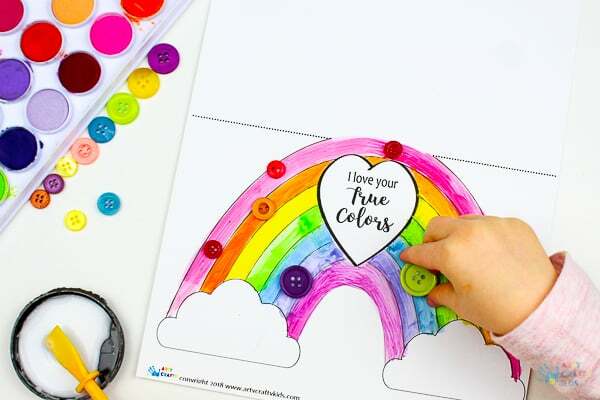 The rainbow can be coloured, painted and embellished with buttons, sequins or even glitter (if you’re feeling brave). 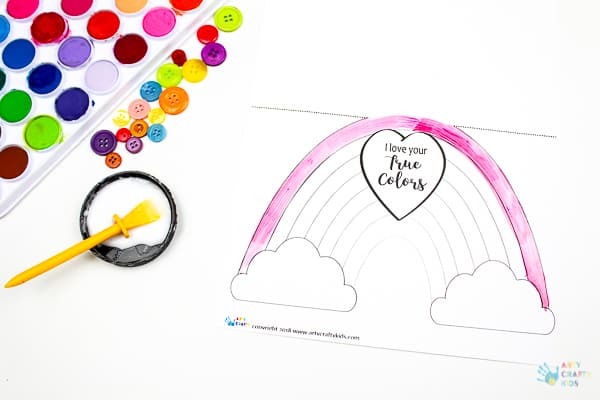 And with a handy template to download, this craft couldn’t be easier! 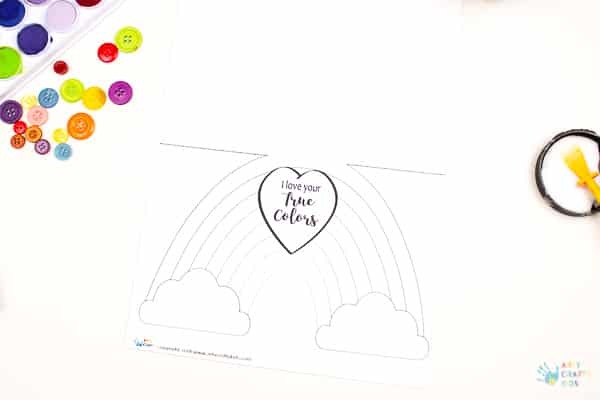 NOTE: There are two versions of the template available, one with the UK spelling of Colour and another for our US friends. 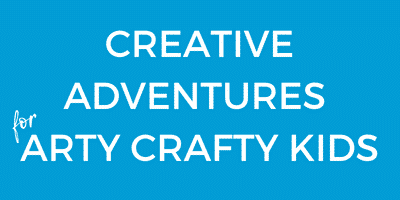 Step 1: Download and print the template onto a piece of A4 white stockcard. 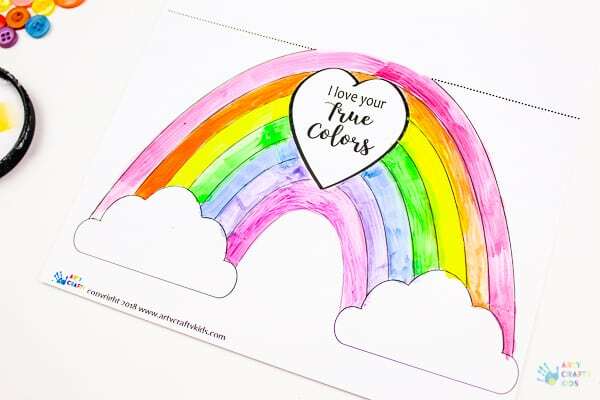 Step 2: Colour the rainbow with the Arty Crafty Kids using their favourite medium. 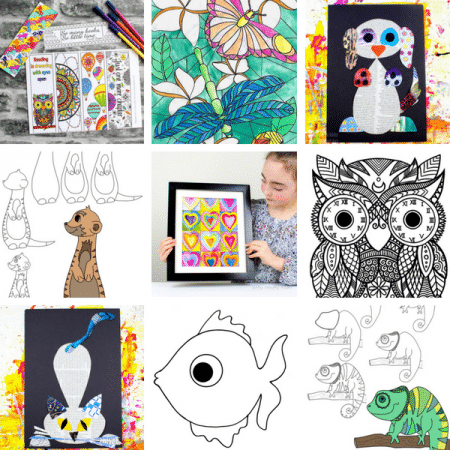 Step 3: Fill the rainbow with bright and vibrant colours. Step 4: Add some embellishments. 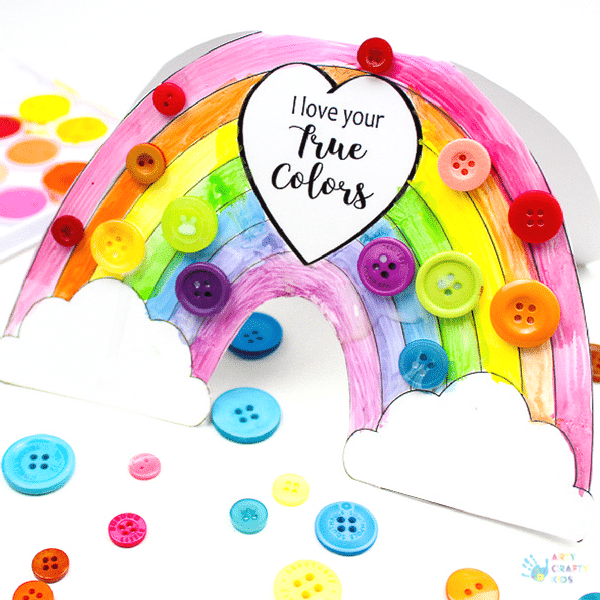 My children love buttons and I think they work really well with this activity. 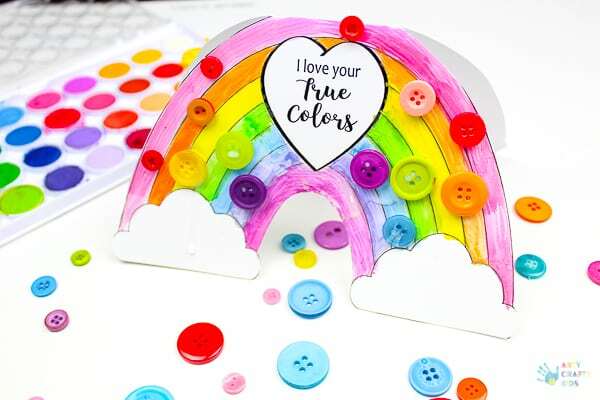 Step 5: Once the card has dried off, fold it in half and then cut out the rainbow shape. 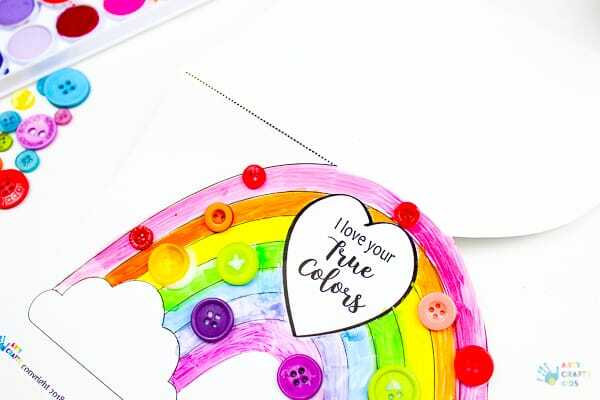 Step 6: Open the card and fill it with a personal greeting.